This is another restoration that turned out really nice. Again, my wife came home and asked if I could repair her friend antique table. 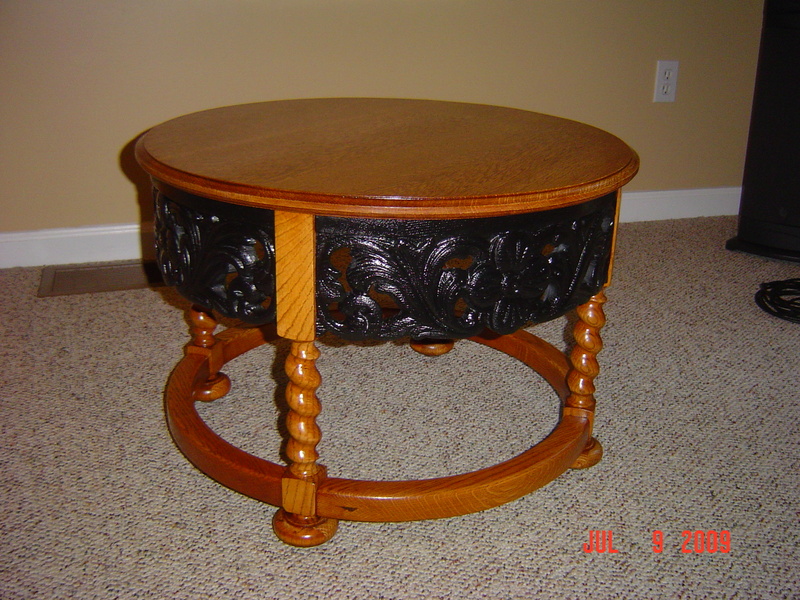 What she brought home was a beautiful round table with incredible hand carved pieces. The only problem was it was covered with layers and layers of old paint. You can see the paint layers on the table top. 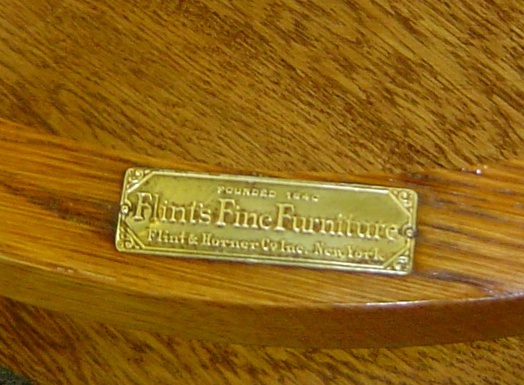 On the bottom of one of the rails, there was a brass tag with the manufacturer’s name, “Flint’s Fine Furniture.” From this I was able to date the furniture back to the depression era. This was probably built between 1920 and 1930, although it could be older. 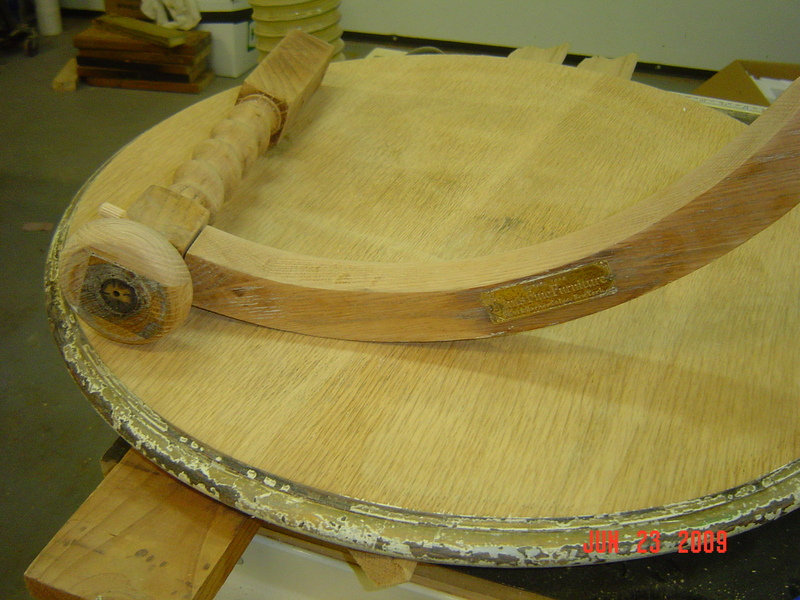 Flint’s Fine Furniture did not make expensive furniture but is was well-built and the carvings are wonderful. I made sure I clean the tag and returned it to the orignal position. The carvings were very difficult to clean off the old paint. I finally conceded that I could not get all the surfaces down to the original wood so I decided to paint the carvings flat black. I also had to replace the table top. It was cheap and thin veneer. I damage the veneer when I sanded off the paint. Here is the finish product. Not bad! Not bad at all!! The owner is very happy with this restoration. This is another piece I hated to give back!